Graduation can only mean one thing: Graduation parties. 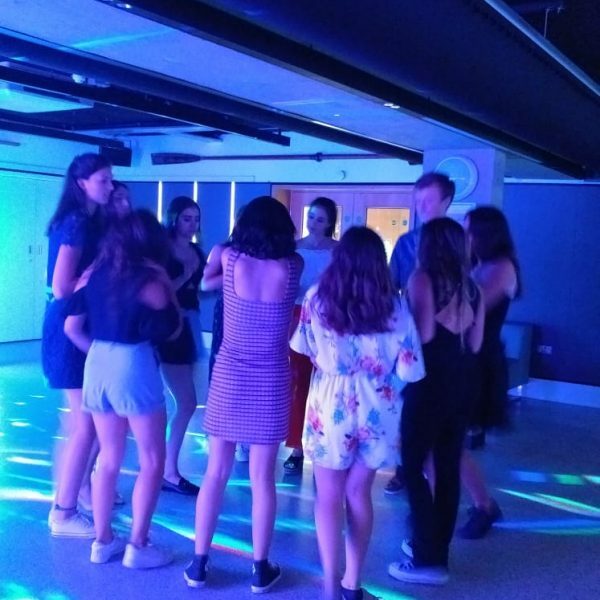 With every college and campus given themed parties or entertaining dinners, Friday evening saw all ORA students laughing the night away with their friends. Mystery shrouded ORA students at University, Queen’s and St Catherine’s for their Graduation party. Masks hid the identity of students as they circled the room, engaging with the selection of themed activities and decor as they went. Some pupils found the intrigue to be too overwhelming and were quick to reveal themselves to their peers, whilst others enjoyed the cryptic element and ensured the masks stayed glued to their faces. Loud music and vibrant lights provided a party atmosphere and the ball continued late into the night. Crowns and thrones were in abundant supply at Balliol’s Medieval Kings and Queens Graduation party. Regal dresses and jewellery identified the queens, whilst strong suits ensured the kings made an impact upon their arrival. A feast fit for a king welcomed partygoers to the event, with snacks and drinks lining the tables to keep our royalty energised throughout their tiring evening of playing monarch. The court was full of popular music and lights as the kings and queens partied throughout the evening, taking loads of photos as they went to remember their royal evening. ORA students at SPC were transported to the circus to celebrate Graduation. The marquee turned into a hightop tent, complete with colourful hoops, props and decor. It didn’t take long for pupils to turn into ringmasters and performers as they enjoyed the circus entertainment surrounding them. Some got into character and took photographs with the props, trying their best to be convincing acrobats and showmen. Others appreciated the themed food, filling their hands and mouths with lots of snacks and fizzy drinks. The night was a vibrant and colourful one, full of laughter and showmanship. Cogs, clocks and everything mechanical hit ORA students at LMH and Jowett Walk at their Graduation party. Themed games and large mechanical backdrops transported everyone to the world of Steampunk and the chaos therein. The Steampunk world took some by storm, as they jumped into the fictional and historical setting. The crazy atmosphere had some students dancing in theme, doing the ‘robot’ and performing their best impressions of steampunk characters. The parties ensured that everyone had a final celebration and a chance to enjoy time with their friends. We hope to see many students return next year for another summer and wish them all the best for the future.